I love you, KitchenAid Mixer. I love you. I love my KitchenAid so much because I love baking bread. Bread may be my dieting downfall. Who am I kidding, my mouth is my dieting downfall. And my sweet tooth. Yesterday I had a small Lost viewing get-together. We decided to make pasta (Greg makes an AMAZING spicy red sauce. It needs to be bottled. No lie), focaccia and Rice Krispy Treat homemade ice cream. I didn’t feel bad on making those foods because there wouldn’t be much leftover for us, meaning me, to eat afterwards.Anyway, back to baking. 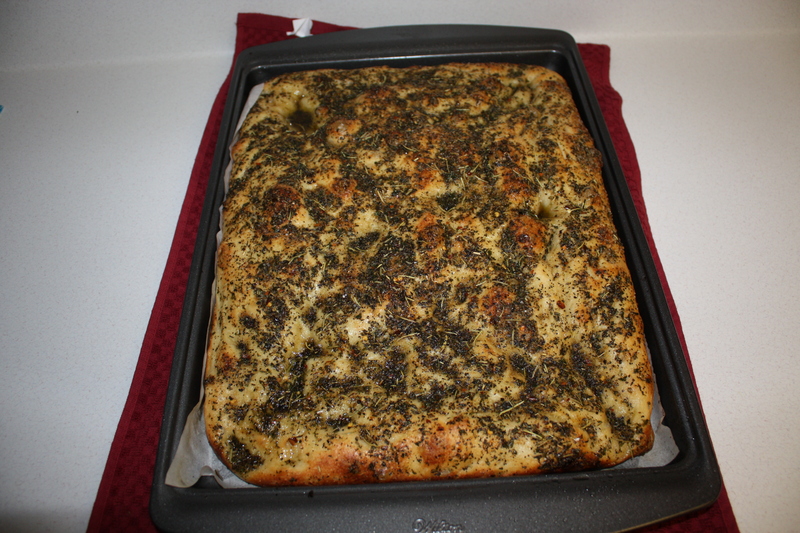 I used Peter Reinhart’s Pain à l’Ancienne Focaccia and herb oil recipes. They can be found in his latest book, Peter Reinhart’s Artisan Breads Every Day. This is the first recipe I made from this book. I’ve been making breads from The Bread Baker’s Apprentice. Both books are highly recommended. Mr. Reinhart goes into the science of bread, which I really appreciate. Knowing the how allows you to experiment later on. Needless to say Reinhart’s books with be some of the few that will make the journey over. You know what won’t? You guessed it. My KitchenAid. Sigh. I am going to miss my KitchenAid. Can you imagine kneading by hands for several minutes at various intervals? We decided that I will have to find a nicely used Kitchen Aide after we settle in. I use that bad boy almost every time I bake. I love it and I don’t think it’s an overrated appliance. Not at all. There will be sad days in London if I can’t find an adequate replacement. 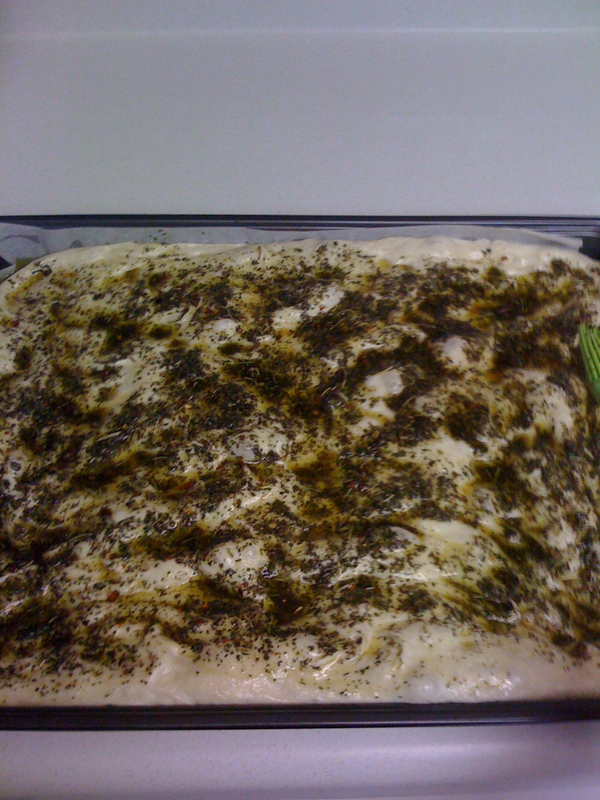 03 Feb	This entry was published on 03/02/2010 at 2:03 PM. It’s filed under Austin and tagged baking, bread, KitchenAid, Love, moving, Peter Reinhart. Bookmark the permalink. Follow any comments here with the RSS feed for this post. what!? how can you leave it behind? i’d totally bring it! unacceptable. also, your bread looks scandalously delicious. please mail me some. I wish I could take it. Because the voltage isn’t compatible if I used an adapter and converter I’m afraid the motor would be weak. And Bad Boy weighs about 30 lbs! The cost of mailing it would be insane. I have hopes that I will find a nice used one. I am already searching the want ads to see the choices. i have been to europe, and somehow completely blocked out the voltage thing as a possible explanation. i was way too outraged, i guess. and it is a hefty appliance, indeed. Are you selling it or putting it in storage? 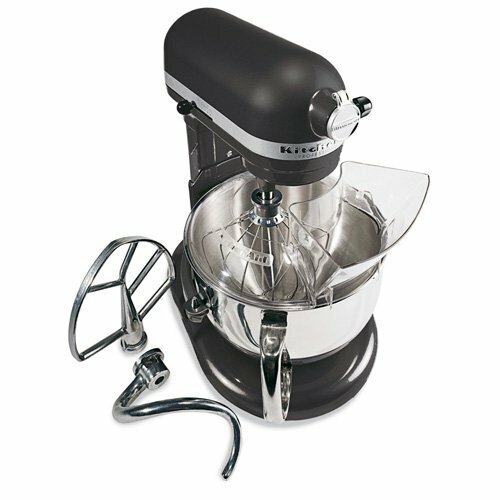 If you’re selling, I have a good friend that may be in the market for a reasonably priced, gently used KitchenAid. I am actually going to put it storage. I am looking forward to our reunion in a few years. Corny, I know. I just can’t part with it.